The Summa Health System campus in Akron. Summa Health's financial news is a bit of a mixed bag. This week, Moody's Investors Service downgraded Summa's rating to Baa2 from Baa1, affecting about $350 million of debt, with a negative outlook. But on Thursday, Nov. 16, interim CEO Dr. Cliff Deveny shared some brighter news: The past three months, particularly October, have been profitable for the health system. This is relatively encouraging for the health system, which lost more than $33 million in operating income in the first half of the year. Summa is anticipating closer to a $35 million loss for the year, with the second half of the year breaking even. This is an improvement from Deveny's warning over the summer that the system was on track to lose as much as $60 million this year. In a June memo to Summa employees, staff and boards, he announced the system would eliminate about 300 positions — saving an estimated $12 million — as well as discontinue services, consolidate units and reevaluate ongoing capital needs. "The positive thing is month by month we're seeing improvement, and then if you look at the last three months we've probably had a $2.5 million operating profit and overall bottom line of about $4 million," Deveny said. After seeing declines in outpatient and emergency department visits, volumes have shown "significant recovery" in the last four months, Deveny said. "We have seen an improvement in just medical group appointments as well as testing. Also we've seen an uptick in surgeries," he said. The system is working to finalize its budget for 2018, in which "we fully expect" to have a positive performance, said Brian Derrick, Summa's chief financial officer and senior vice president. He said the system expects a 0.5% to 1% operating margin for next year. "Our priority is to continue to seek improved operating performance," Derrick said. "We believe we will be in the $10 to $15 million range in '18." The downgraded rating will cost the system about $100,000 next year in resulting increased interest. He said the system doesn't expect further downgrades. "And we're going to be focused very much on continuing to improve performance so over the next 12 to 24 months we can regain the Baa1 rating," Derrick said. Moody's attributed the downgrade, which concluded a review initiated in September, to "a confluence of unexpected events that accelerated an earlier trend of volume declines and contributed to a material operating loss through nine months of FY 2017." Deveny began his role in March, replacing Dr. Thomas Malone, who resigned after strong backlash to a decision to not renew the contract of the independent physician group that had staffed the hospital's emergency departments for decades. He entered at a time of tense provider relationships and has worked to improve them since he began. "We're hearing that morale is significantly better, that access to services is easier, call centers functionality has improve significantly," Deveny said. Moody's notes that though the system resolved some temporary issues, challenges in the competitive landscape and physician issues "suggest financial recovery will be prolonged." 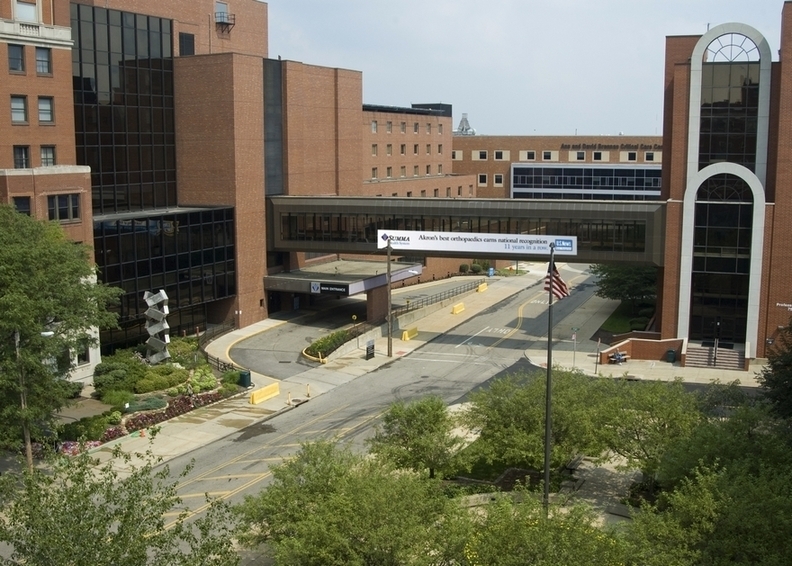 Last year, Summa announced a $350 million plan to upgrade facilities, which includes a new inpatient facility and medical office building on its Akron campus. "The downgrade also reflects higher leverage following expected debt for a large capital project," Moody's states. "The rating favorably reflects Summa's still leading market position and strong liquidity position, which allow the system some time to execute turnaround initiatives and complete the project." "Summa Health's financial losses slow" originally appeared in Crain's Cleveland Business.